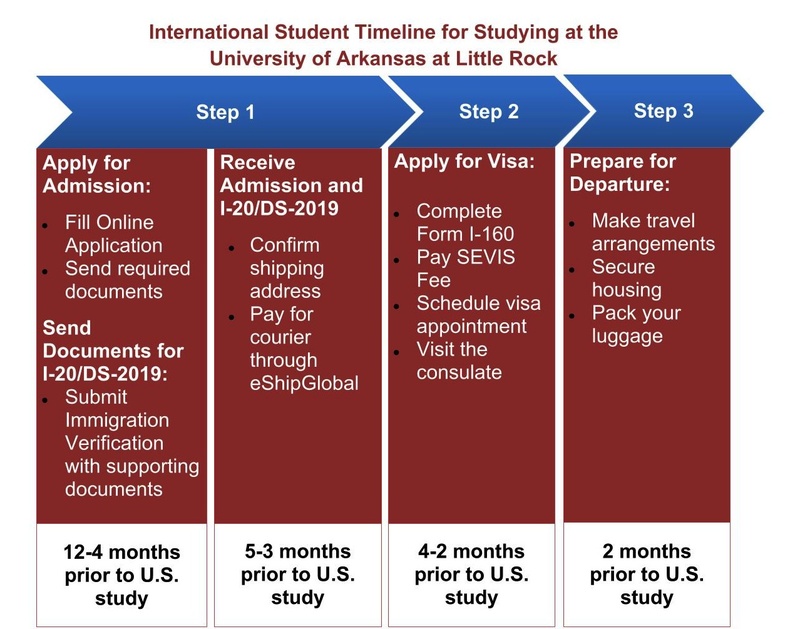 As you prepare for your journey to the University of Arkansas at Little Rock as an international student, the overview below will help you understand the steps involved in reaching your destination. The timeline features optimal dates, which vary according to your situation. UALR defines international students as any non-U.S. citizen without permanent residency. All international visa holders will be charged the international student fee and can use the resources of the Office of International Services. The majority of the information on this website is directed toward students with an F-1 or J-1 immigration status.